I never realized that fuse boxes were not standard in all cars in 1960. The wiring in this car was dried out and very brittle. A lot of changes had been made over the years, not all of it safe. 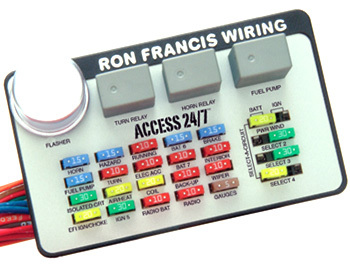 I installed a Ron Francis Access 24/7 wiring kit to bring the cars wiring up to modern standards.